I am in love with this color. I'm normally not a green nail polish fan, but this is beyond fabulous. And I've had great wear with this shade- I painted my nails last Thursday night, took this pic on Friday afternoon, and it's now Monday morning and it still looks great! I did two coats, topped with Nubar Diamont (old formula). Pretty color! 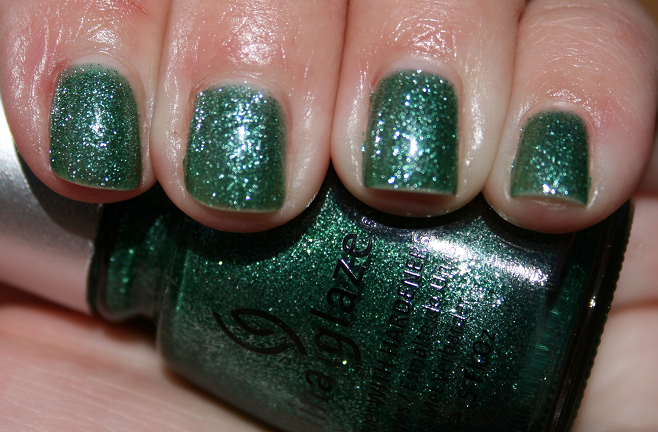 I'm not a big green polish fan either but I do like this one.